Boxer dog is a fantastic dog breed which is famous as pet around the globe, especially in the United States of America. Boxer is a majestically adored by families, because it is adjustable in the family environment for its affectionate and playful nature. But sometimes, it is really a matter of great displeasure and disheartening, if your dog is not listening to you, if it is disobedient or is not paying any heed or attention to your commands. 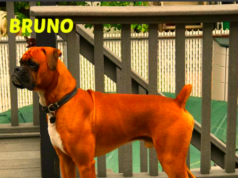 Some boxer lovers are unaware of this fact and they just take a boxer at their homes considering or thinking, the boxer will be trained very easily or come back to them quite handily, but this is not always the case. 2 If your boxer doesn’t listen to you, it is really frustrated! Although this case of disobedience is not only related to some of the adult boxer dogs, but some boxer puppies also don’t pay attention sometimes. Actually this breed is different from other dogs, they need such an owner who could provide them with daily engrossment by timely feeding, fitness exercises and activities, reasonable grooming, useful entertaining playthings and stuff like that. If all of these are available to your boxer then they will settle down soon. 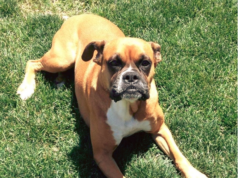 Generally a boxer dog loves to stay with their owner and his family members. Alienation is disliked by a boxer dog and keeping it alone develops dissatisfaction in its personality. Such situations are harmful and create sort of separation anxiety that ultimately results in a ruinous demeanor in your dog. If your boxer doesn’t listen to you, it is really frustrated! Yes, if your boxer dog doesn’t listen to you, it causes frustration and if he’s stubborn and ignoring you continuously, we know, it really embarrassing especially, in front of your friends. Well, seriously, no need to feel defeated, but you should react in a fitting manner. Sometimes, when boxer behaves like this, it means, it is paying attention to some other animations. Just observe the movements of your boxer, and slightly get involved with him. Be interesting for your boxer and it will pay you back soon. Your boxer’s confidence might be shattered, if he has the fear of punishment in case of some wrong doing. Suppose, your boxer goes out and takes too long for coming back, and you punish him for this act, he’ll definitely repeat this conduct. It will be in his mind, he’ll be rewarded with such punishment again, but fearful mind will instigate him to spend longer time outside in the next time as well. Don’t allow such situation to be developed. If you have several members in your family, and all of them are trying to set some rules for your boxer dog, then it will certainly cause confusion in your boxer’s mind. He’ll not be able to understand all of such commands and will ultimately reject all such enforcements. Better is to sit together and make a consensus for your boxer’s rules and then apply them gradually one be one and with consistency. Another best way is to write them all and display in a suitable place at your home, so everybody follows the rules accordingly with a discipline. This technique will be equally useful for all family members and your boxer will start listening to all of you. It is also to be remembered, boxer dog considers you as the leader and your family as its pack. He’ll make you an ideal in its mind, so you must be a crackerjack and sure what you are going to teach your boxer dog. Always be proficient in your leading skills. Your weird approach will destroy the tuning of your boxer dog and resultantly he’ll not listen to you. Practice makes a boxer perfect as well. Repetitions hundreds of thousands of times are sometimes required to teach a new skill to your boxer dog. The owner of a boxer dog should be really focusing on the training to ensure, his dog is really following the commands. Your boxer dog genuinely wants to do the right thing, but it is up to the owner how he treats with him. There are many professional institutes working for training the dog owners and if you are facing some trouble, as your boxer is not listening to you, you can also contact with such professionals. Better is to attend the classes and when you are taught with some useful tips, apply them on your boxer dog accordingly. Definitely it will work. 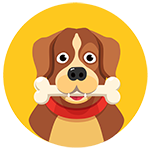 But again, it will be your own behavior and skills that will refine your dog’s personality. As your boxer dog is a canine creature, so it is the food which also plays a primitive role in a dog’s personality. Sometimes if you feel, your boxer dog is not listening to you, and you’re confused as you are providing him with the best available food stuff, but still he’s ignoring you. Chances are, your boxer dog is not sure; it is you, who is making its requirement fulfilled. Only you must take charge of the activity of feeding your boxer dog and then he’ll start listening to you. Just hold on for few seconds before you throw food at him. Let him stare at you for a while and wave its tail requesting you to start the meal. 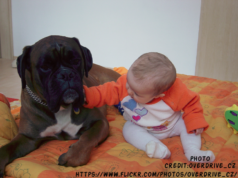 We’ll conclude this article, boxer dogs communicate with each other with body language and sometimes if they are not listening to you, just make yourself understand, your verbal communication is not effective and is not working anymore. 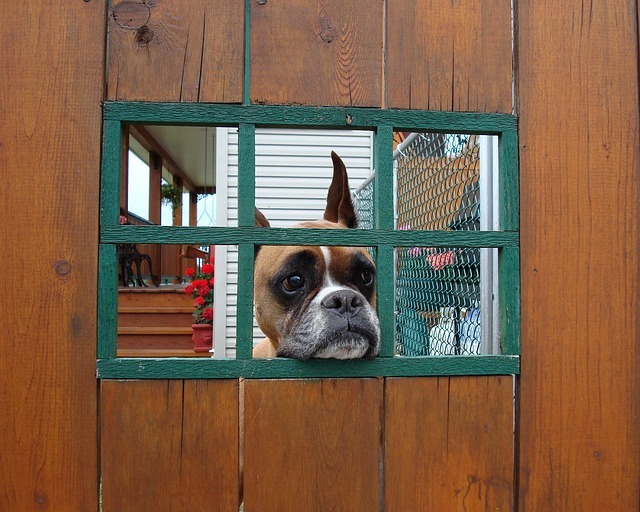 Sometimes you are delivering wrong language towards your boxer dog, so better is to eliminate this language barricade. Use your posture, movements and body signals because your boxer dog will love to follow such techniques. Also seek a good dog trainer’s advice if all of the remedies are not working. Don’t be harsh to your boxer, if he’s not listening to you and don’t be disappointed. Effectively, you’ll overcome this hurdle very soon. When do Boxer dogs stop growing?